Pre-Registration: Mail in registration should be postmarked by April 12. 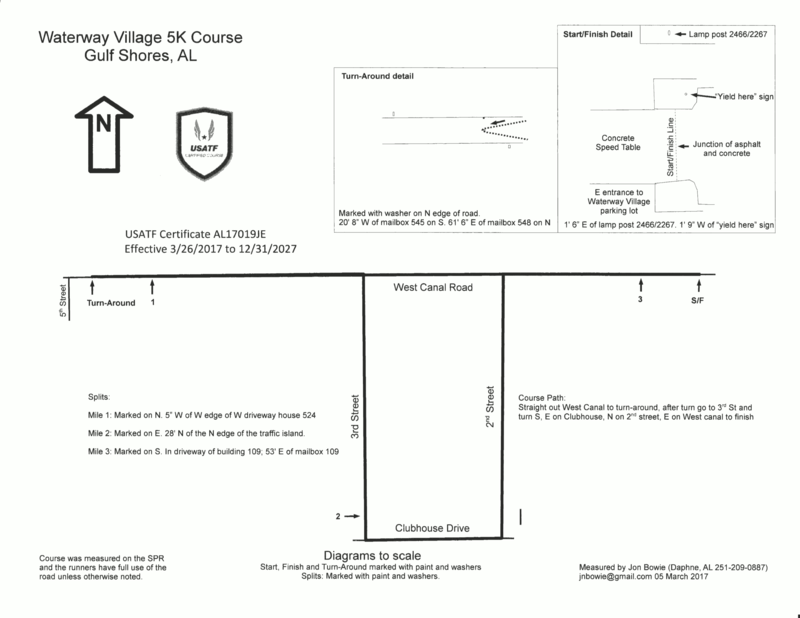 Drop off registration at McCoy Outdoor Co., Run-N-Tri, or Fleet Feet in Mobile or Running Wild in Fairhope until noon on Wednesday, April 17. Online / Late Registration: Online Registration until 4 AM April 18. Late registration and early packet pick-up at Waterway Village on Friday, April 19 from 4 - 7 PM and on race day from 6:30 - 7:50 AM. Post-Race: Runners join us for free beer, refreshments, AWARDS, and Zydeco Bands after the race. Stay for the Zydeco Crawfish Festival!